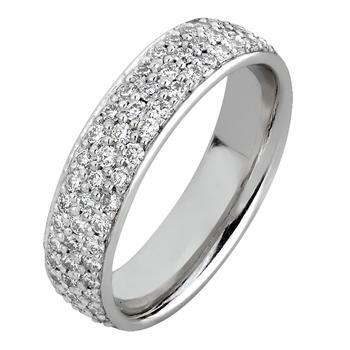 Platinum wedding ring, 4mm wide bead set with three rows of round brilliant cut diamonds. The price includes the diamonds. 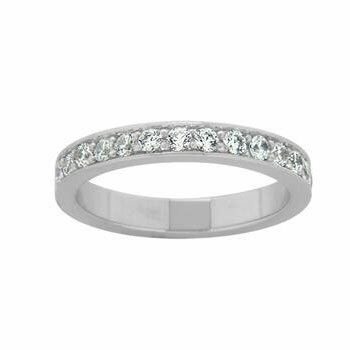 Also available in Yellow Gold and White gold, other widths and with your choice of diamonds or coloured gemstones. The prices above are based on finger size N.